A part-Arabic language threat to behead the leader of a Swedish anti-mass migration party leader has triggered a police investigation, just days before the nation goes to the polls in a general election. The threat, which was reproduced in Swedish newspapers Friday, had a letterhead with the flag of the Islamic State group, and made a threat to Sweden Democrats leader Jimmie Åkesson, and his four-year-old son. Naming Åkesson’s son as another target for the group, the letter — which was in Swedish and Arabic — also quoted lines from a known Islamic State battle song, reports the Expressen newspaper. Swedish state security police the Säpo have confirmed they are investigating the threats, but have not indicated whether the letter has yet been confirmed as genuine, or the level of threat. Jimmie Åkesson is known in Swedish politics for his youth, having come to the leadership of the Sweden Democrats in 2005 aged just 26, and for his anti-mass migration politics. The party he leads is expected to see a record result, and significantly grow their share of parliamentary seats as a result. Meanwhile, Sweden’s long-time ruling Social Democrats party are polled to produce their worst election result in history, as concerns over mass migration and crime continue to dominate political debate. 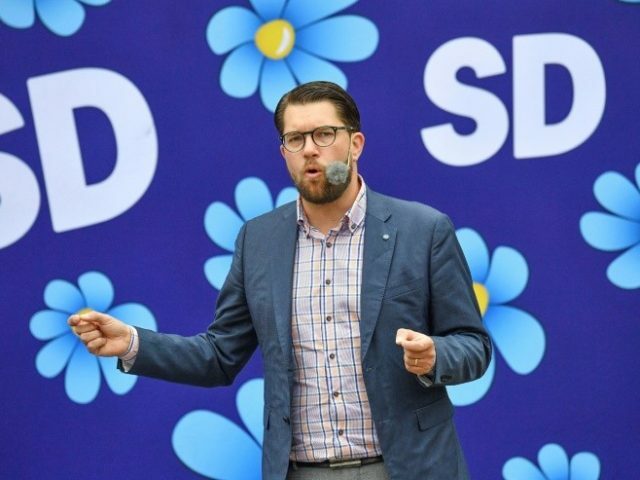 The threats follow scaremongering by a Social Democrat candidate who was uncovered after spreading lies about the Sweden Democrats in messages written in Arabic posted to social media. The messages claimed the party wanted to deport large numbers of migrants, ban Halal meat, and ban the burqa, among other invented policies. The letter comes amid a clear change in tempo of terrorism in Europe, which increasingly sees attacks and threats tailored to influence specific political outcomes. Dutch anti-mass migration and counter-Islamisation campaigner Geert Wilders was forced to cancel his ‘Draw Mohammed’ cartoon competition last month after both threats and actual attacks. The announcement of the event in the Dutch parliament saw a Pakistani pop star call for Wilders and everyone involved in running the competition to be hanged, and pressure at the UN from the Pakistan government. 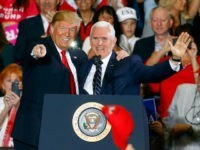 Dutch security services detained a man suspected of planning a terror plot against Wilders and the Dutch parliament over the event, and an asylum seeker knifeman who wounded two at Amsterdam Central railway station cited Mr Wilders and “insults” to Islam as his motivation.